There are reasons why you cannot count on an ultrasound for detecting gallbladder cancer; yet, it can also “miss” it. Many patients who have gallbladder cancer that is discovered by accident are found retrospectively to have had suspicious ultrasound findings (e.g., a solitary or displaced stone, or an intraluminal or invasive mass) that were not recognized preoperatively. 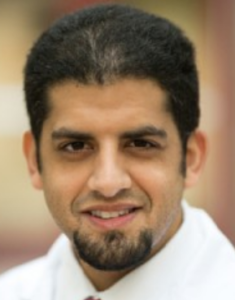 “Findings that are suggestive but not diagnostic of gallbladder cancer include mural thickening or calcification, a mass protruding into the lumen, a fixed mass in the gallbladder, loss of the interface between the gallbladder and liver, or direct liver infiltration,” explains Dr. Alashari. “The overall accuracy of US for staging the local and distant extent of a suspected gallbladder cancer is limited,” says Dr. Alashari. A history of gallstones, though it’s a small risk. This disease is very uncommon. It’s so uncommon that the National Cancer Institute Surveillance and Epidemiology End Results Program includes it with liver cancer statistics. 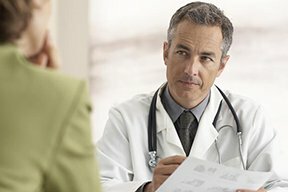 About 37 percent of newly diagnosed cases each year in the U.S. are in people 55 to 64. In people 45 to 54 it’s 12.1 percent. In those 35 to 44 it’s 1.8 percent. For those 20 to 34 it’s 0.7 percent. For people under age 20 it’s 0.8 percent. The symptoms of gallbladder cancer can also have benign causes.